From its sources in the Rockies to its mouth at the Pacific, the Fraser River pulses through our province like an artery. It passes through landscapes as varied as sagebrush-covered benchlands to the dramatic chasms of the Canyon. This fall, five communities along the Fraser corridor will celebrate the river in all its diversity. 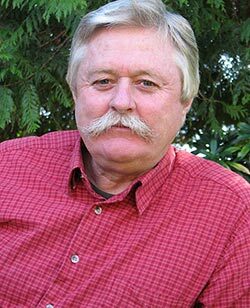 The Fraser River Lecture Series: river of diversity, will focus on the river’s ecological diversity and the significance of the Simon Fraser Bicentennial. Coordinated by the New Pathways to Gold Society (NPTGS), the series will give the public opportunities to participate and learn about the Fraser River as well as the role it continues to play in defining our province, our communities and ourselves. “The series will also highlight how important the health of river is for the future of all British Columbians,” said Langara College instructor Rick Blacklaws, one of the lecturers who will be presenting. Blacklaws is part of a lecture format that features three presenters. Blacklaws and colleague Richard Mackie of the University of Victoria will discuss the Fraser River on a broad, provincial perspective. A third lecturer from the host community will provide a local perspective on the topic. A complimentary interactive web site is also being produced to encourage people all across B.C. to participate by posting their experiences and comments. The first lecture takes place at the University of Northern British Columbia on Sept. 27, 1:00-3:30 p.m., at the Agora Lecture Theatre. The local lecturer will be Joan Chess of the Fraser Basin Council. Chess will discuss the collaborative approaches the Council has developed in undertaking regional studies of economic and environmental sustainability. “The New Pathways To Gold Society hopes the this series becomes an annual event and a lasting legacy of the BC150 celebrations,” said NPTGS co-chair Chief Byron Spinks of the Lytton First Nation. The Fraser River Lecture Series is a partnership between the New Pathways To Gold Society, BC150, Simon Fraser University, Heritage Canada, the University of Northern B.C. and host communities. Lectures will also take place in Quesnel (October 18), Lillooet (November 1), Abbotsford (November 22) and Vancouver (December 8).